HORRIBLE EXPERIENCE!!! LIES, NO SHOWS AND THE WORST COMMUNICATION ! Renato did not fulfill any of his promises TIME AND TIME AGAIN! Once he got paid, despite his promises to come back and finish the job, HE NEVER DID. Promised me multiple times he would show up and NEVER DID! This guy is smooth and comes across very nice in person, but FAILED MISERABLY. He refinished my floors in December and the finish came out poorly, didn't cure properly which resulted in SCUFFS ALL OVER IT. Thresholds were installed poorly and dozens of areas that need to be redone. When he came by to see it, he agreed it was done poorly. He said the finish needed to be redone and it would be covered through the Bona warranty and promised me he would be back to finish. He said we needed to be gone in order to have it completed so we made plans to be out of town for two days in January so he had the whole house to himself. I boarded my dog and was gone for two days. The first day he was supposed to be here, he never showed up, never called and never responded to any calls or texts. The next day, Sunday, he texted and said he would be there at 10 AM, finish by 12 and we couldn't walk on them until 4. We drove by the house at 11.00...NO ONE ever came. Renato never answered his phone and never responded to any text messages. We WASTED time and money leaving for two days based on his promises to finally get the job done and ONCE AGAIN NEVER SHOWED UP. 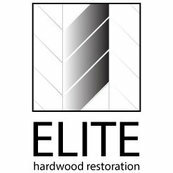 I'm going to do my best to post reviews, warnings and complaints on every site possible on Renato and Elite Hardwood Restoration so they never work in Tampa again. Such a horrible way to treat people who trust you with their home and pay good money for services. So incredibly disappointed. He BOLD FACED lied to us time and time again. This company is NOT TO BE TRUSTED! BEWARE - BEWARE - BEWARE !